This is the most AOW’s ever this week! We would like to congratulate all the coaches and the students that attended the Olympic Lifting Certification this past weekend. Kudos to Hali Watson, Korena Chester, Tracy Kuipers, Matt “FTS” Byers, Chris P, Browny, Mary Booms, Casey, Cody B, Annie and Chris Mello. Also, our former ROCKSTAR CrossFitter’s Garrett Strating and Nate Hart. Personally I feel it was the best cert I have been too. It had every component you need to educate, motivate and learn the skillz to successfully coach athletes and members of any level. To let all of you know this is an unusually LARGE attendance to a CrossFit certification from a single affiliate. We are so proud of everyone who attended and have NO DOUBT this weekend we raised the level of coaching and excellence at CFSF. 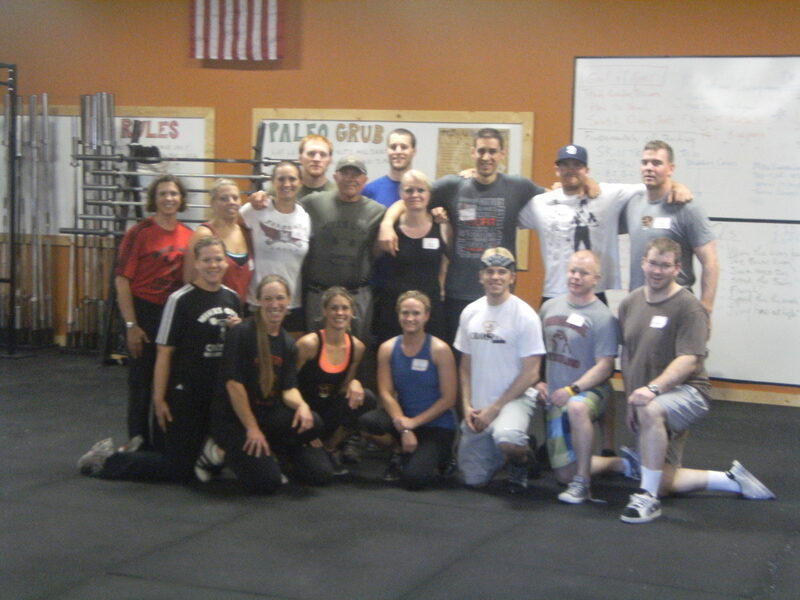 A special thanks to the Olympic Lifting Coaching staff as we were very impressed with the entire weekend. A BIG THANK YOU to Coach Mike Burgener. Look out everybody the bar has been raised significantly! Everyone who attended the cert please post your thoughts and feedback about this weekend to the comments. And CFSF please post your congratulations to the group. 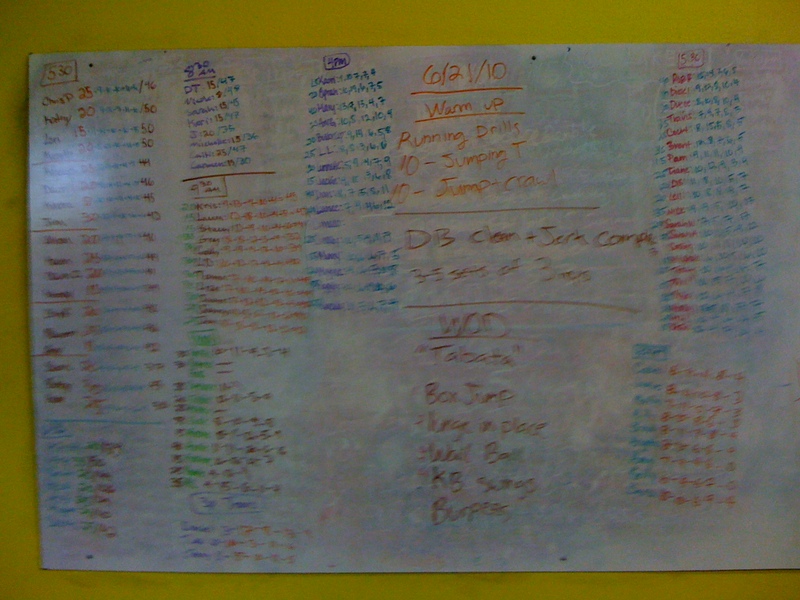 This entry was posted on June 21, 2010 at 4:49 pm and is filed under Crossfit Philosophy, Members. You can follow any responses to this entry through the RSS 2.0 feed. You can leave a response, or trackback from your own site. Way to go guys!! Keep the pressure coming! You guys rock! I look forward to the additional help and feedback from each of you! congrats!!! what an awesome group to represent cfsiouxfalls!!! The weekend was an awesome experience filled with a lot of information and tips to make us better CF’rs. I brought back with me a challenge to work on my form and technique to improve my range of motion, flexibility, and ultimately my strength. It really boils down to one thing…perfect practice makes perfect. Focus on the little things in a movement and the results will speak loudly! Last night I did the Burgener warmup and skill transfer work with Casey a couple of times…once with a PVC pipe and the next with a 25 pound bar. I was focused during the work time and this was an awesome workout that only took about 20 minutes. My goal is to do that same thing with complete focus to detail at least 4 times per week. From a coaching/teaching aspect, I also brought back a new term…motivational consequences…this helps to stay on task and to keep focused. Yay Burpees!!! This was a great weekend to spend with dedicated friends and amazing trainers from Coach B’s staff. Find the JYD that is inside of you!!! What a great experience! I learned so much that my head wanted to explode with information. Olympic Lifting is a sport that everyone should try out… don’t be afraid of a barbell, it’s your friend. I have to admit that I was nervous going into the cert (don’t ask because I don’t know why!). But Coach Burgener was definitely my kind of coach! I loved the motivational consequences (yeaaaa burpeeees!) and how he made you listen to what he was saying and burrrned it into your brain. I learned TONS at the cert and plan on leaving my ego at the door, if needed, to work on proper form. Perfect practice makes perfect! I already PR’d my OHS by 20lbs! After 2 already failed attempts of push pressing the weight up, all Annie had to say to me was: “I know the junk yard dog in you can lift that”…I walked back up to the bar, told myself the weight wasn’t going to beat me as she offered to spot me. Little did I remember until after she reminded me AFTER….ummm….Annie couldn’t help me…she only has 1 working arm! Duh! This JYD plans on seeing more progress yet! So flipping excited!!! My goals are to do the Burbener warmup & skill transfer work every day along with the stretching exercises Coach B showed us…already seeing a little progress in the flexibility after 2 simple days! It was one of the best experiences in my life! The entire staff along with Coach B was phenomenal! Find the JUNKYARD DOG in YOU! !